Panel Built has installed numerous One Hour systems throughout the country. 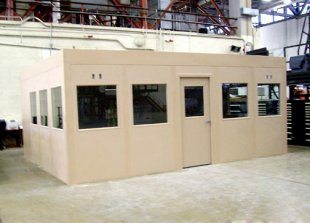 Both military and commercial customers come to Panel Built for their laboratory tested ASTM certified One Hour Fire Resistant panel system. 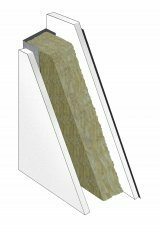 This specially designed sandwich panel is composed of 5/8” Fire-Shield gypsum board with a mineral wool insulated core and held in place with 26 gauge galvanized steel studs. 20 gauge steel channel is used to secure the wall panels. For instances where One Hour Fire Rated is not required, but Class A does not suffice, Panel Built has developed a “hybrid” panel. For more information, please contact your Panel Built representative.